I have been obsessed with drawing wings lately. I have to think it’s some kind of metaphor, something my brain wants, badly. Who doesn’t want their own pair of wings, really? What kind of dreamer could survive the world without wings? 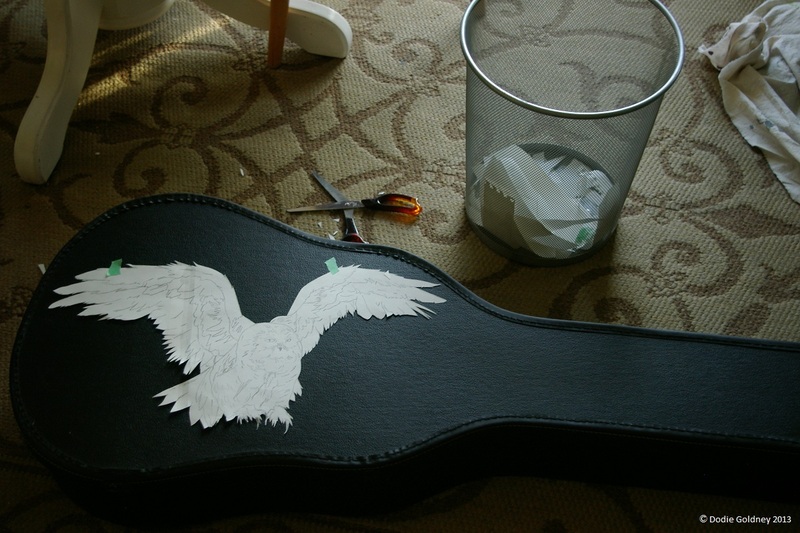 Speaking of wings, the next step in painting an owl on my guitar case was a little finicky. It involved the utility knife from my tool box and the cutting board from the kitchen. I made a tracing of my original drawing, and then cut it up into pieces so I could transfer it to the case. I traced the outlines of the shapes with a white pencil. 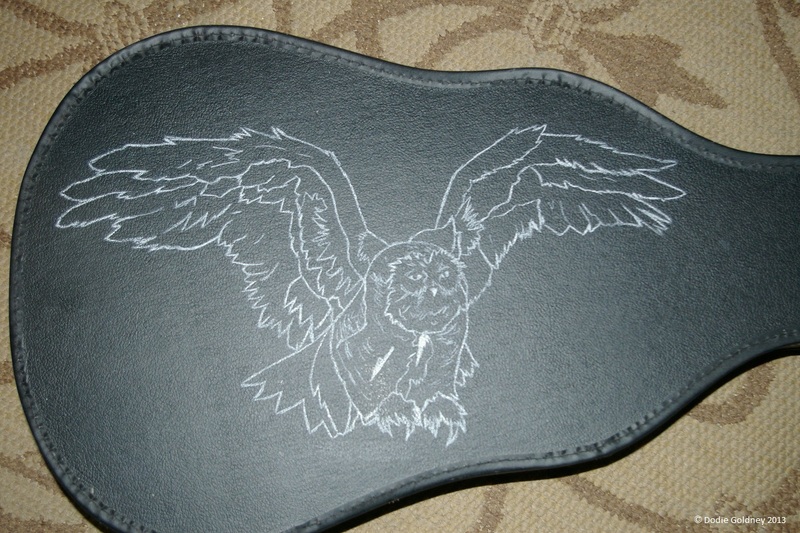 I realized, working on this particular owl, that talons are also pretty SPECTACULAR. 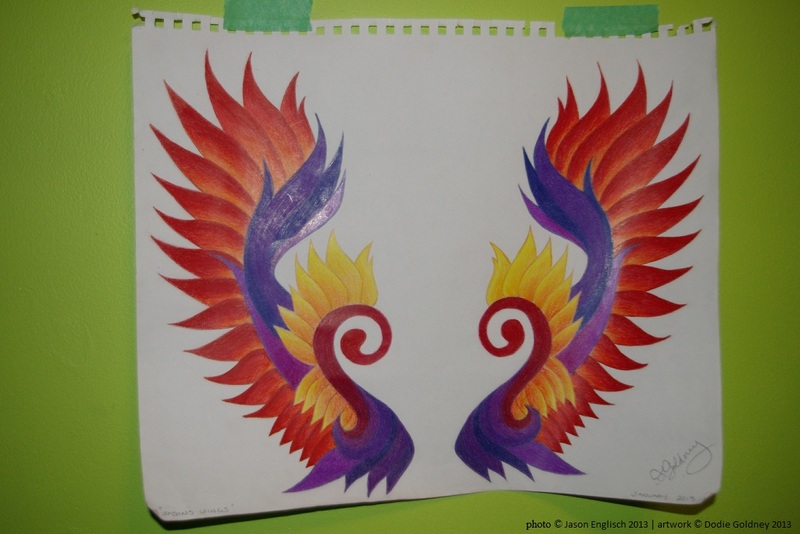 Wings and claws, together – quite useful for a dreamer, I thought. Because you can fly around, wing-propelled, up in the clouds forever. But then what? Eventually, you want to eat. Eventually, you want to fulfill at least SOME of those dreams. Eventually, you are going to have to grab hold of something and not let it go. And that’s where claws come in handy. Wings AND claws. Dreamers need them both. 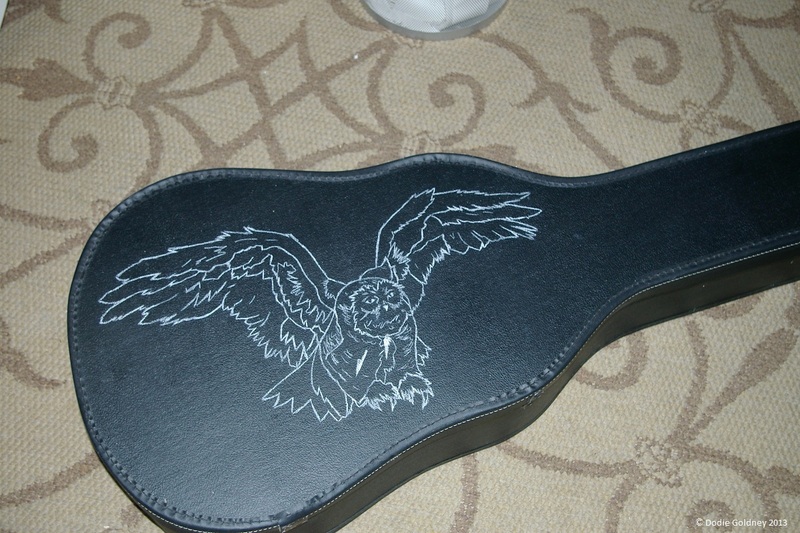 Tonight I will be taking my guitar to a jam in this case, so it will be a day or two before I get back to working on owl.